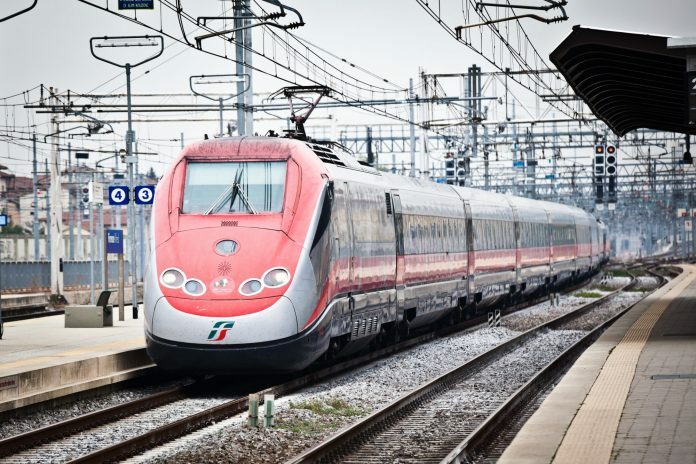 Mercitalia, the freight arm of Italy’s state-owned railway, has unveiled plans to convert high-speed passenger trains for freight. Expected to launch in October, Mercitalia Fast freight services will operate on the Caserta – Bologna route between the Caserta Marcianise and the Interporto di Bologna terminals. The service will use modified ETR 500 high-speed trains, which will complete the route in three hours and 20 minutes, at an average speed of 180 km/h. The service will meet a demand in the market for the transport of “time sensitive” products, Mercitalia has said. Marco Gosso, chief executive of Mercitalia Logistics, said the company plans to extend the service to other terminals and cities on the high-speed network in the future, including Turin, Novara, Milan, Brescia, Verona, Padua, Rome and Bari. The 12-car trains will have the equivalent capacity to two Boeing 747 Cargo airplanes and will be equipped with roll containers to make it easy to load and unload cargo.